Joseph G. Boak, Jr., MD specializes in Internal Medicine. Dr. Boak is a graduate of Hamilton College and Rutgers New Jersey Medical School. He completed his training in Internal Medicine at Thomas Jefferson University Hospital, Philadelphia, PA and has been in practice with Riverview Medical Associates since 1998. American College of Physicians and the American Society of Internal Medicine. Dr. Boak has special interest in primary care, internal medicine and long term care, he is Medical Director at DeLaSalle Hall Nursing Facility. 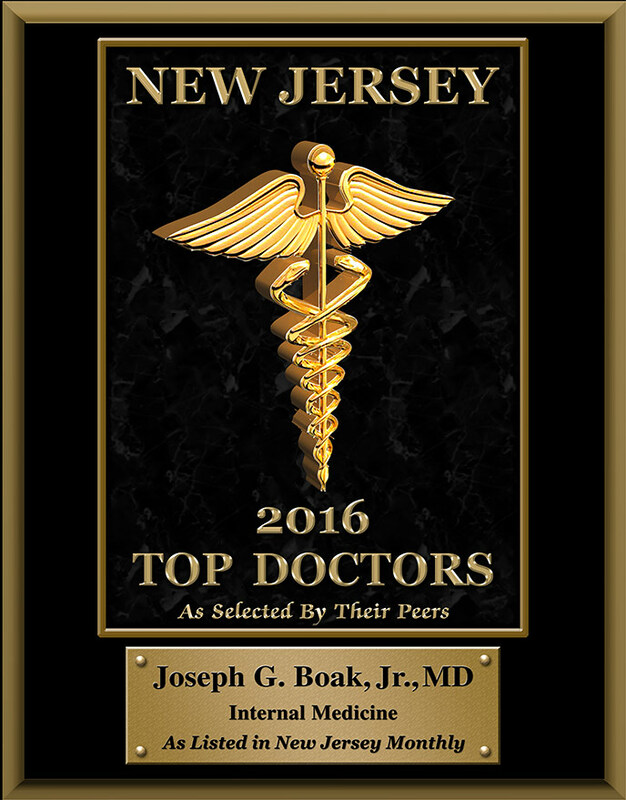 Dr. Boak is one of New Jersey’s Top Docs for 2013, 2014, 2015 and 2016.